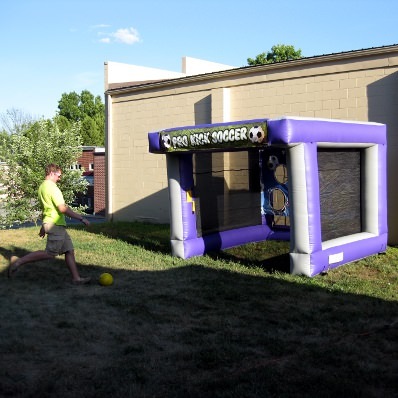 In this inflatable, the player tries to kick the ball through the holes for points. Great for kids or adults. Check out this video for a demonstration.